Button downs are such a classic shirt. You can dress them up or down and still look really chic and put together. 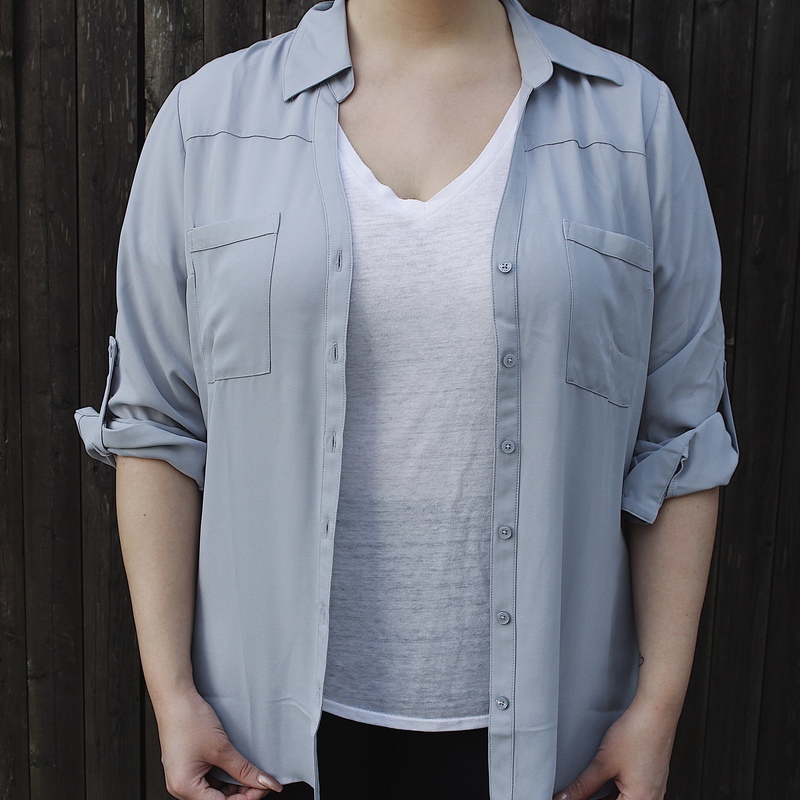 Button downs are so easy to throw on with anything. My favorite button downs are the ones from Express. They’re made with a light material that doesn’t make you feel hot also making them super comfortable. 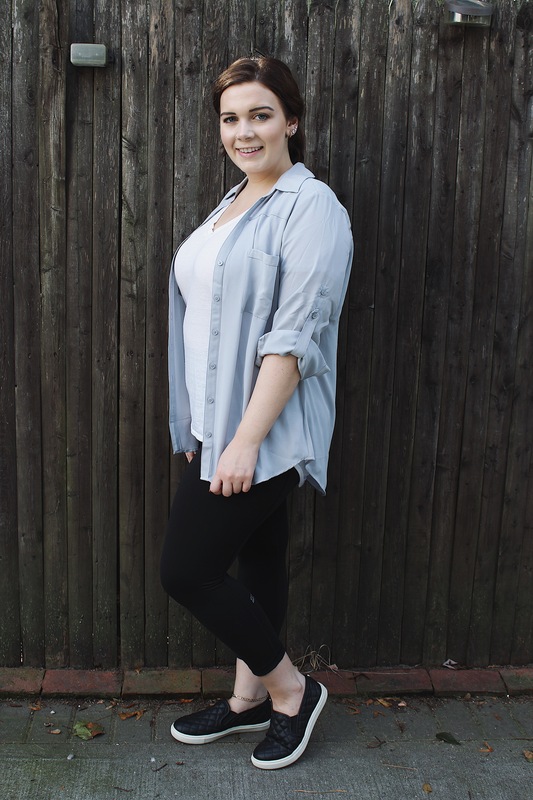 In this post, I’m going to be sharing my tips on How To Style A Button Down 5 Ways. This is the most obvious one of course. 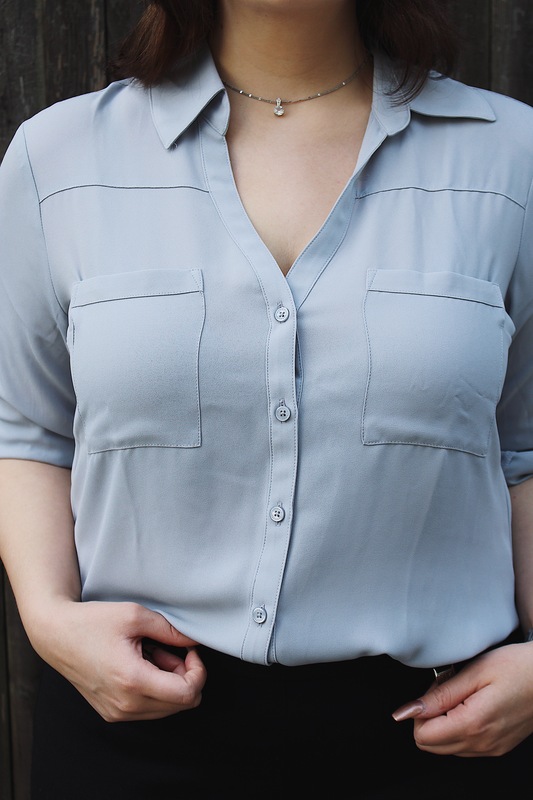 A button down for work is always a go-to look. It’s easy and comfortable especially if you have a long day ahead. 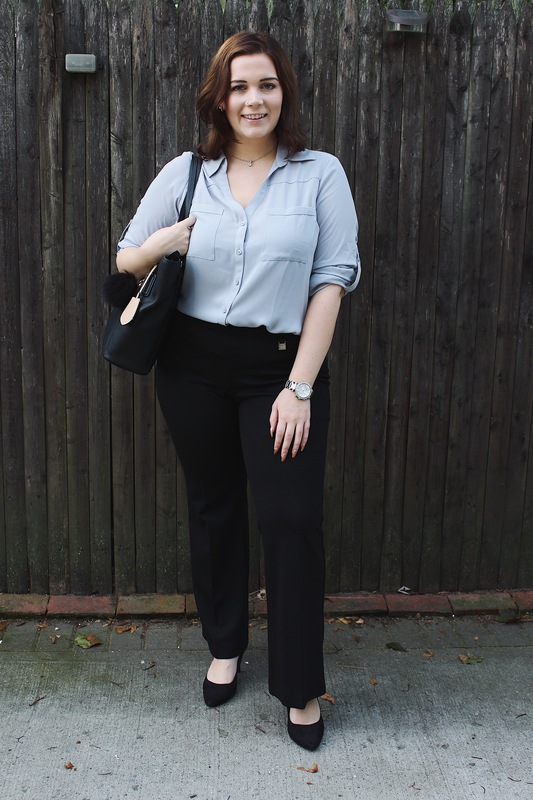 When a button down is paired with work pants, it instantly makes you look ‘professional.’ I recommend wearing a button down to work all the time, especially on an interview. Have a date after work, or just meeting friends for some dinner and drinks? 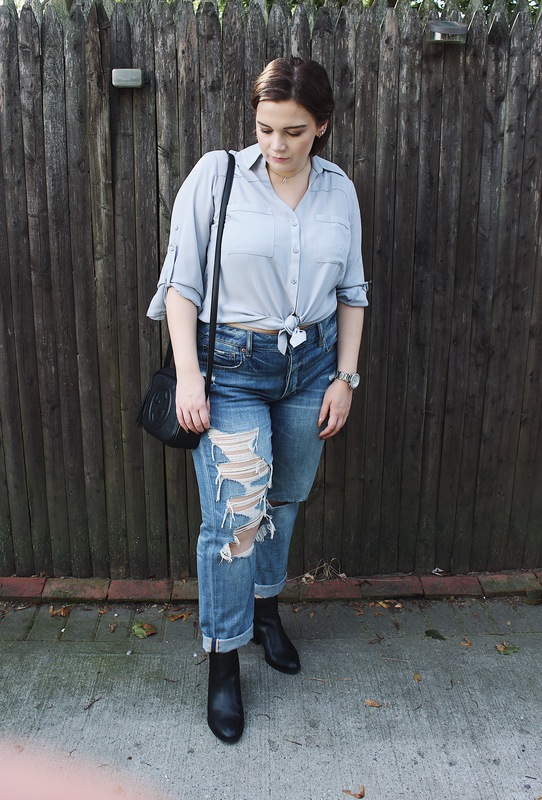 Throw on a button down, some high waisted jeans, heels and bam you look put together and stylish. I love wearing button downs with jeans, simply because you really wouldn’t expect it since button downs are usually associated with work. I think this is a really fun way to dress up any look, but still remaining casual at the same time. This is definitely one of my favorite looks to wear all the time. 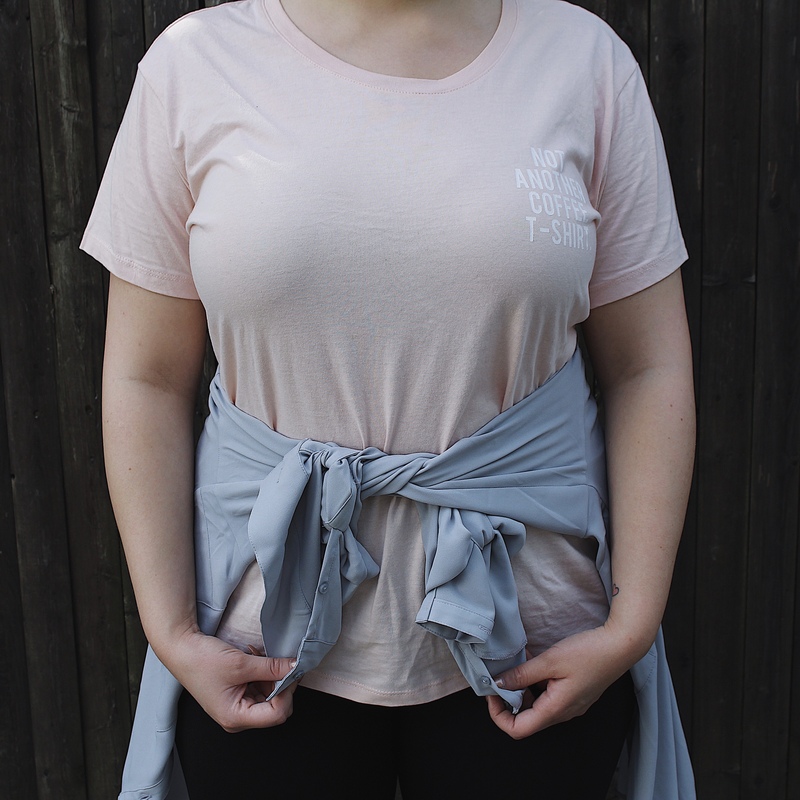 Its super trendy, but still so casual. 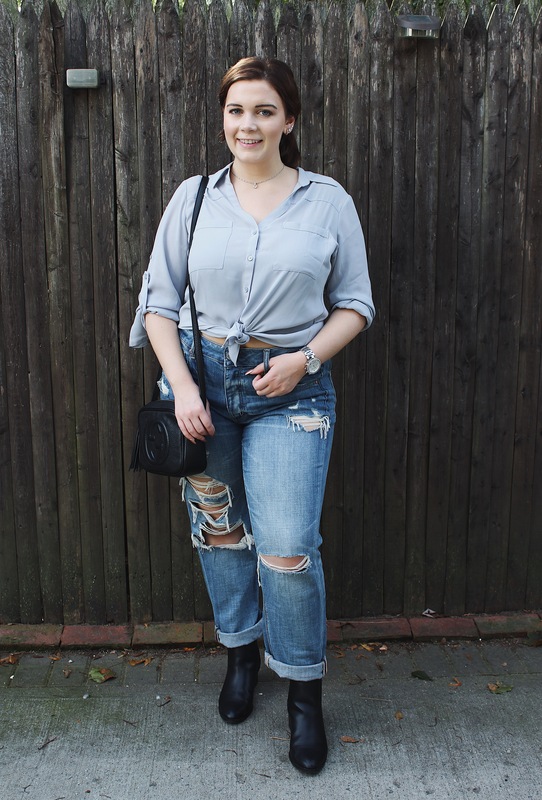 For this look, I like to do a ripped denim, preferably a boyfriend jean for the more looser/laid back effect. The ripped denim also brings down the ‘professional’ look of the button down, and tying the shirt makes it even more casual. This is definitely an outfit I would wear to class, out to lunch with friends, or for a night out. This is what I like to call The Easy Look. For this one all you have to do is throw on some sneakers, leggings, a basic tee and unbutton the button down for a cardigan effect. Such a great and super casual look. This is the perfect look for running errands. This is the best look for those weekends when you have so much to do and so little time. This is the easiest look. 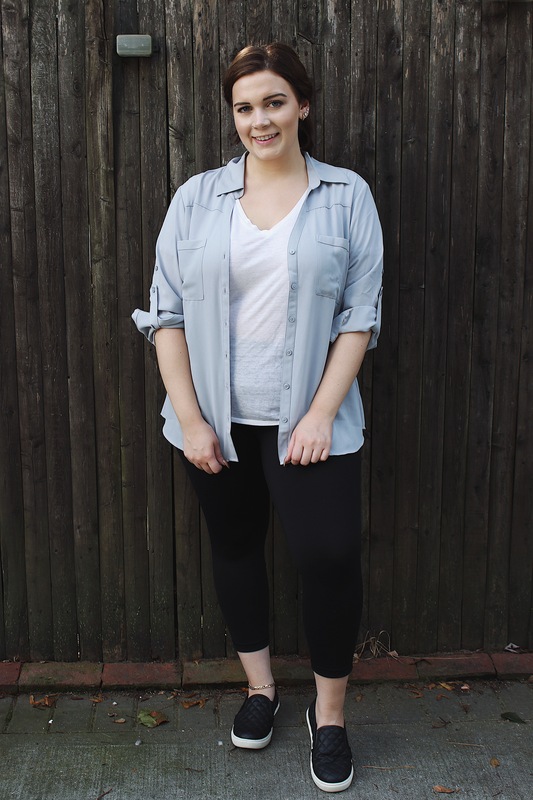 Throw on some comfy sneakers, leggings, a graphic tee and tie that button down around your waist. A comfy and casual look for those super busy days. 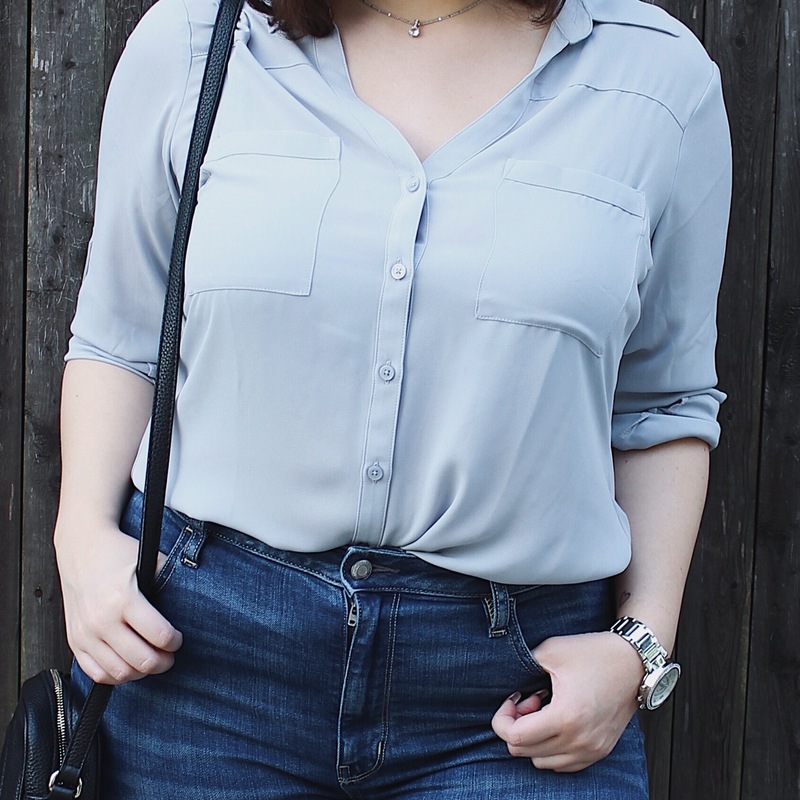 Well, that’s all for this How To Style A Button Down 5 Ways post! I hope you enjoyed this and will now go outside the box when styling your button downs and not just wear them for work! These tips are super easy to follow and look great all 5 ways! the Comfy Casual could be also used for new style not only when you are in rush but most time its good style for the rush :)), great post! I haven’t tried button downs from express so I’ll definitely take a look at what they have to offer. I really like how light the fabric looks too. Great ideas for wearing a button down different ways. I think I like the tie-up version best. A button up with a twist. 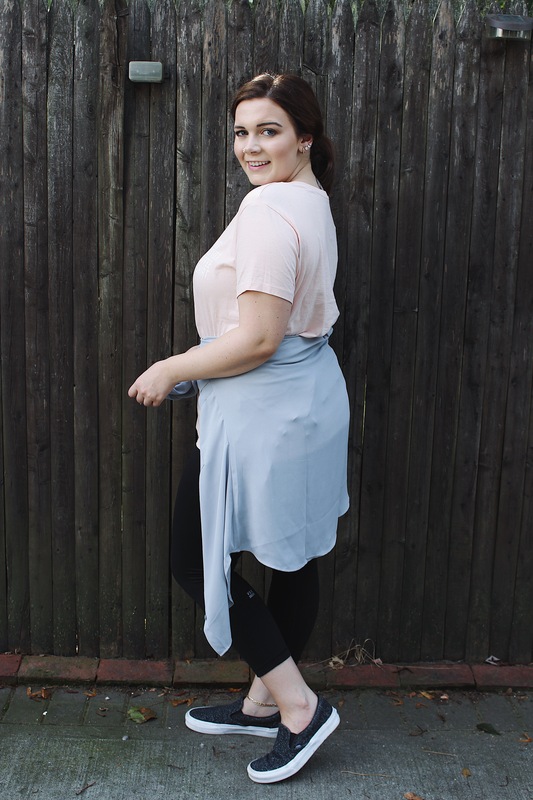 Such a nice style post!